Narrated by Captain Copernicus L. Qwark. Sony Computer Entertainment and Insomniac Games have released a new trailer for Ratchet & Clank introducing the game’s story. 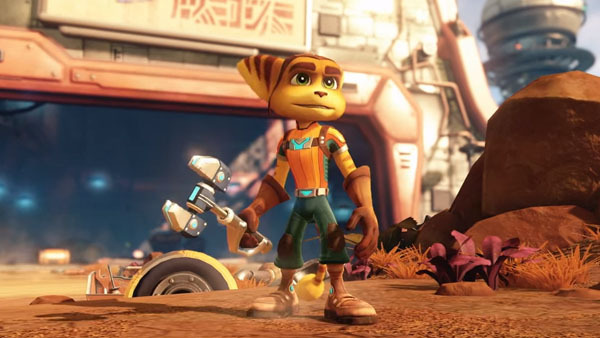 Ratchet & Clank tells the origin story of Ratchet & Clank battling Chariman Drek. While the upcoming film focuses more on character development, the game is more focused on the action that occurs between the scenes of the film. The game is also narrated by Captain Copernicus L. Qwark. So unlike the film, in the game, you get Captain Qwark’s skewed, self-serving version of the events that occur. All of the big details will remain accurate, however. Ratchet & Clank will launch for PlayStation 4 on April 12 in North America and April 20 in Europe. The movie is due out in theaters shortly after on April 29.